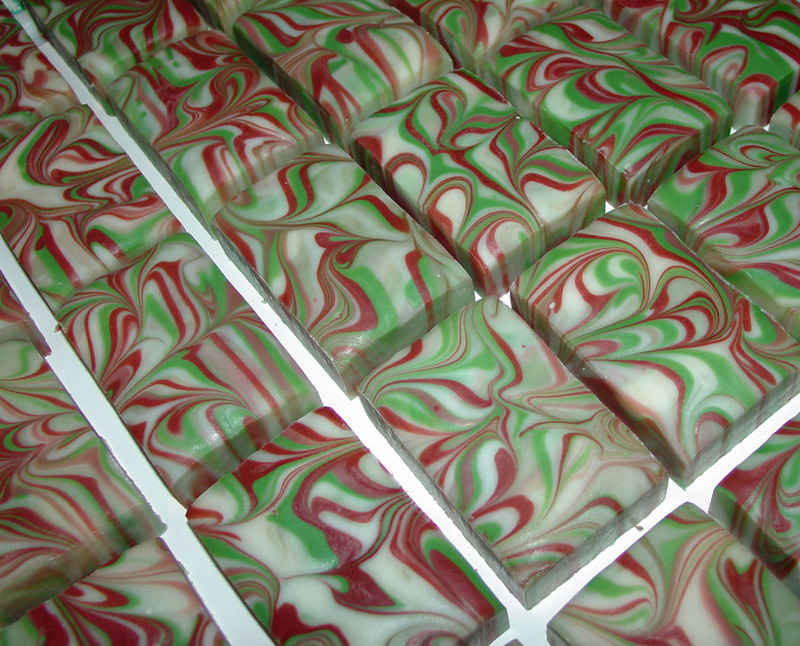 Here is a quick picture of a batch of peppermint essential oil scented soap. This photo was taken right after the bars were unmolded almost four weeks ago and ready to be moved to the curing room. This weekend they will be polished up, the rough edges beveled off and be ready for this Saturday at the Harrisonburg Farmers Market in Virginia! They look and smell like peppermint ribbon candy! ← A better look at the Soaps – click on them for a close up! These are gorgeous-looks like Christmas candy! Beautiful soap. I hope I can swirl to perfection some day!! !